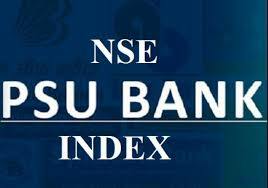 Nifty PSU Bank index closed up 1.92% at 2976.4 today. The index is down 4.00% over last one month. Among the constituents, Syndicate Bank gained 3.54%, IDBI Bank Ltd slipped 3.29% and State Bank of India jumped 2.44%. The Nifty PSU Bank index is down 20.00% over last one year compared to the 3.60% decline in benchmark Nifty 50 index. In other indices, Nifty Metal index added 1.90% and Nifty Media index added 1.71% on the day. In broad markets, the Nifty 50 is down 0.00% to close at 10651.8 while the SENSEX is down 0.00% to close at 35591.25 today. Buying and selling recommendation given for intraday trading is called as intraday tips. Accurate intraday calls are commonly provided in all segments such as equity, nifty future, nifty option, stock future and commodities. In today's trend intraday tips are also called as day trading calls. Get in touch, Submit your email address for latest updates.  Keywords - intraday tips, stock future tips, nifty future tips, nifty option tips, mcx tips, commodity tips, share tips, stock tips, stock market tips, daily intraday tips, daily stock tips, mcx commodity tips, bank nifty tips, nse holidays, bse holidays, trading holidays, share market holidays, clearing holidays in india, nse tips, bse tips.